Sunday evening our town had a memorial and tree dedication service for those who had trees donated to the town parks in memory of a loved one. There were many small details that I noticed God paid particular attention to. Our church usually has an evening service at 6 pm the same time as this service. We had a special schedule this Sunday that allowed our family this time free. I was also on call for work and was not needed at the hospital during this time. 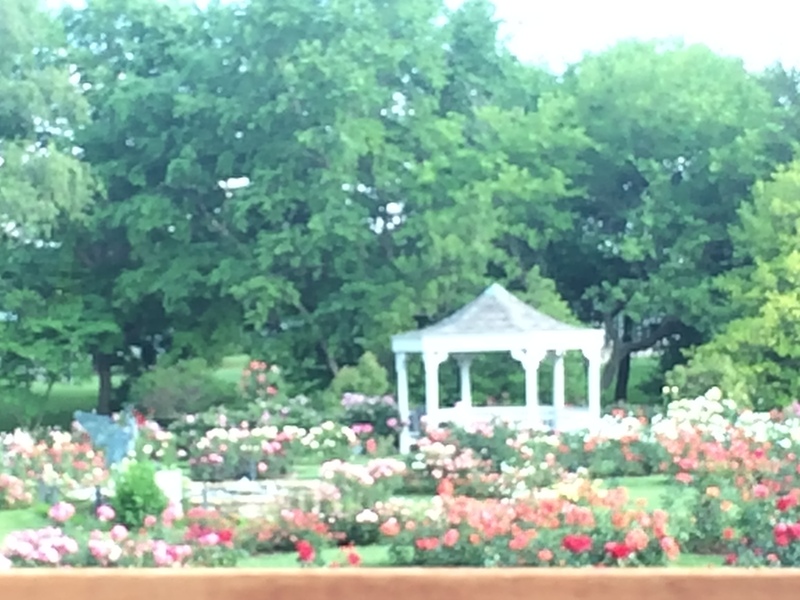 The service was held at the rose garden. My picture above was snapped quickly with my cell phone, but I actually like the vintage blur given in the photo. Some friends of the family donated a tree in honor of my husband’s father and he loved roses. What a great detail. My own father loved roses and caring for them so this was a nice time for his remembrance as well. 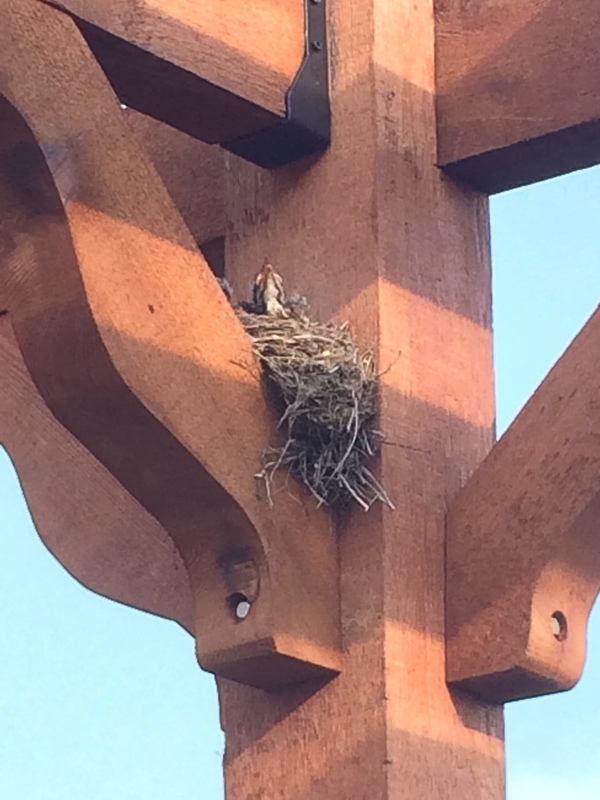 When we walked under the pergola a momma bird had built a next that had a least three baby birds. 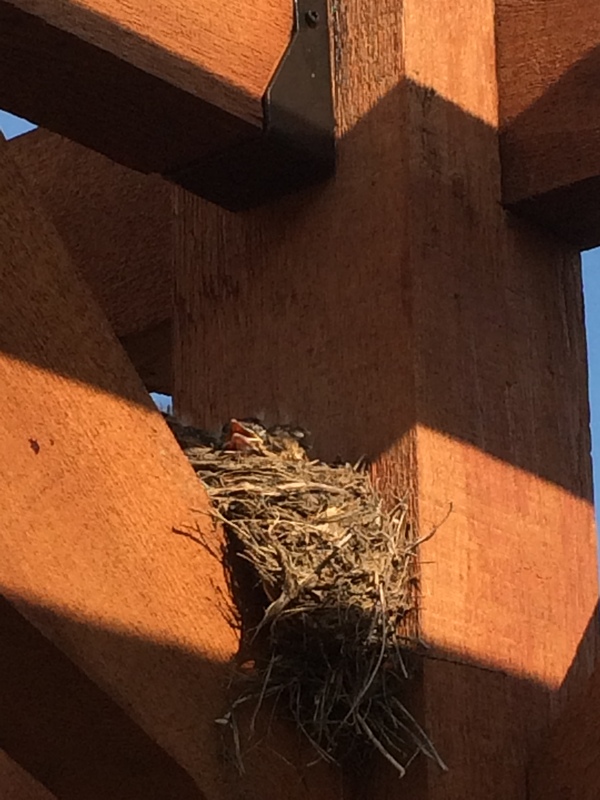 We had a nice “birds eye” view under the pergola of these young ones. These baby birds reminded me of new life with Christ when we accept his gift of salvation. They reminded me of eternal life in heaven and the hope of seeing our loved ones again. Another detail was that my father-in-law’s tree was planted right next to a fellow church member’s who lost his wife this year. This gentleman and my husband are buddies driving the church bus to pick up children and those unable to drive. It was a great reflection of how God always pays attention to the fine details. He knew of this little ceremony long before our church staff planned the calendar. I am so grateful God pays attention to the details and that his timing is perfect. Yes He most certainly does.